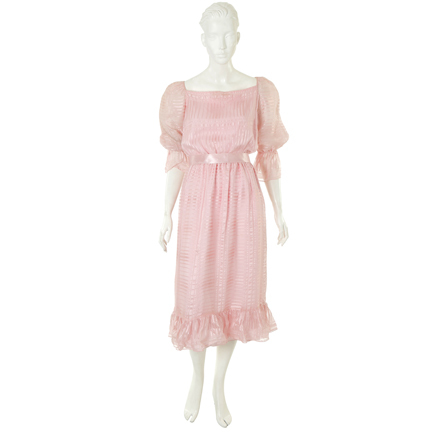 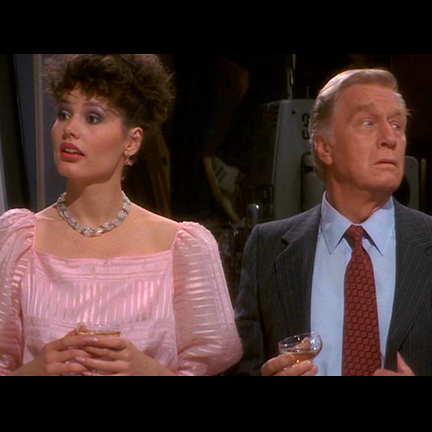 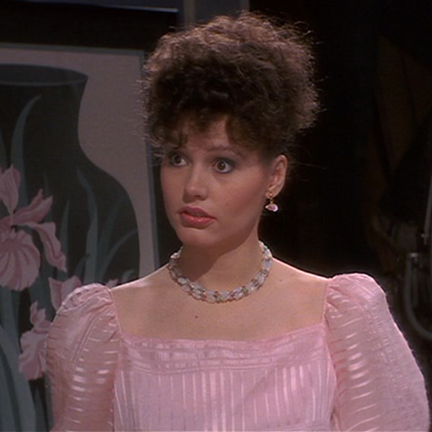 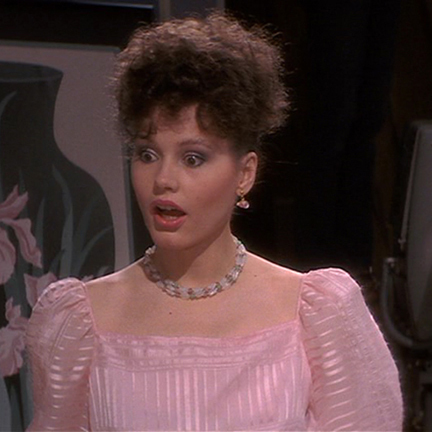 This dress was worn by the character April Page portrayed by actress Geena Davis in the 1982 motion picture Tootsie, starring Dustin Hoffman and Bill Murray. 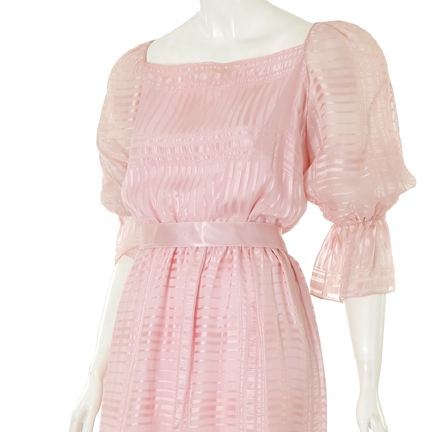 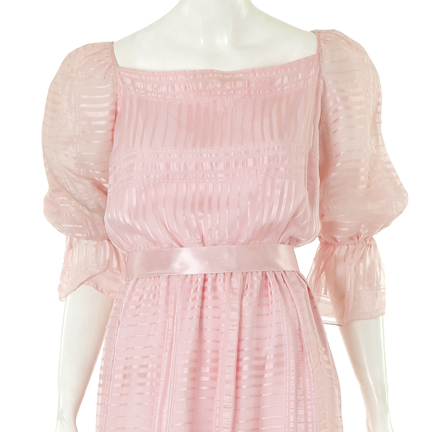 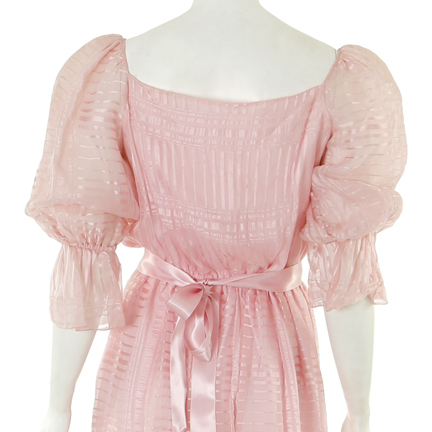 The sheer pink striped dress has ¾ length puff sleeves, gathered waist with a pink ribbon, and a flounce hemline. 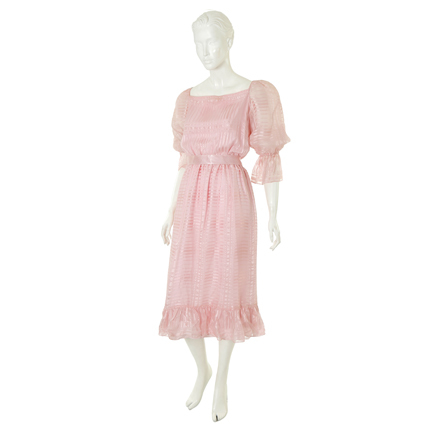 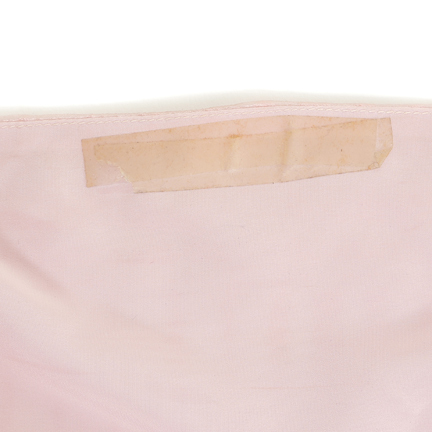 Worn in the finale scene when Hoffman reveals that he is a man and not a woman. 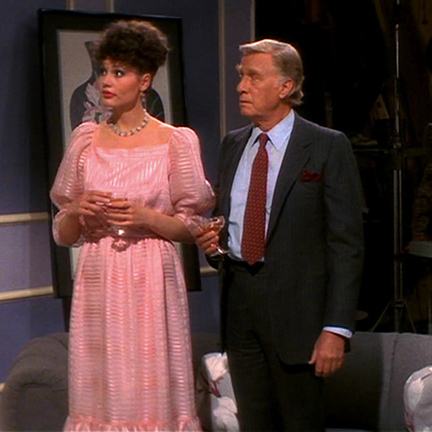 Tootsie was nominated fro numerous Academy Awards in 1983, and Jessica Lange won an Oscar for Best Supporting Actress for her work in the film. 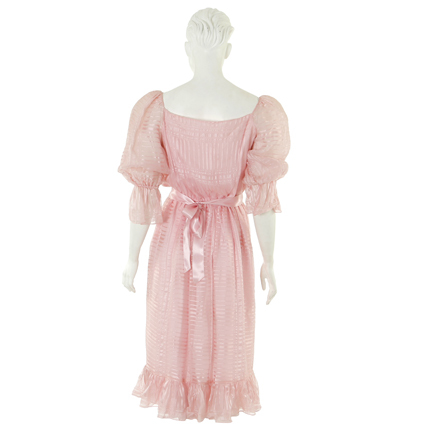 The dress is in excellent screen used condition and accompanied by a letter of authenticity from the costume house.